Would you run a marathon, leading the entire way only to get to the finish line ahead of the pack and stop before crossing it? Of course not. So, don’t proceed through a long and stressful criminal justice system, beat your case or have it dismissed only to walk out of the courthouse thinking your work is done. I’m often asked the above post-title question shortly after a client hires me. My initial response, “We need to beat the case first.” And that truly is the most important step to an expungement. If you beat your case, you’re likely entitled to an expungement of your criminal record. But, it doesn’t happen on its own. You need to petition the court for an expungement. And, expungement of your criminal record is vital as a record, even if the case did not result in conviction, can effect future employment and earning capacity, damage your reputation, effect your ability to obtain financial aid for school or get in to the military. What is an expungement? It is a court order to have all records and evidence of one’s arrest and criminal charges removed from all law enforcement agency records. In Pennsylvania this includes the AOPC (Administrative Office of Pennsylvania Courts), the local county or township police department, the Pennsylvania State Police, the FBI and any other law enforcement entities. conviction. I successfully got every adult contact with the criminal justice system off of his record. He now has a job with the Philadelphia Prison System. If you have prior convictions, especially felony convictions, the Commonwealth may oppose the petition under the theory that removing evidence of the new arrest, even though the charges were withdrawn, will not erase the prior felony conviction and therefore the defendant does not gain anything from expungement. At that point a hearing will be held to weigh the benefit the defendant receives from expungement versus the access to information that society should have about an individual after which a judge will rule on the Petition for Expungement. If you successfully complete a pre-trial diversionary program such as ARD (Accelerated Rehabilatative Disposition) or Section 17, you are entitled to expungement as the charges are withdrawn after successful completion of these programs. And, in all likelihood, you would not have been offered one of these programs if you had a prior record as they are for first-time offenders of minor crimes including DUI, harassment, disorderly conduct and possession of drugs. 2. Pennsylvania law prohibits the courts from expunging records, even if you successfully completed the terms of ARD if you were charged with certain sexual assault or related offenses against victims under the age of 18. Rule 790 of the Pennsylvania Code lays out the procedure for obtaining an expungement as well as the information necessary for a petition for expungement when charged with misdemeanors and felonies and Rule 490 covers expungements in summary matters. Expungements in Pennsylvania are controlled by 18 Pa.C.S. 9122 which delineates when records shall be expunged and when they may be expunged. In summary, the records shall be expunged if (1) no disposition has been received or recorded with the repository within 18 months after the date of arrest; (2) a court order requires non-conviction data be expunged or (3) a person 21 or older was convicted of Section 6308 relating to underage drinking where the individual satisfied all conditions of the sentence, including drivers license suspension and the defendant petitions the court for expungement. 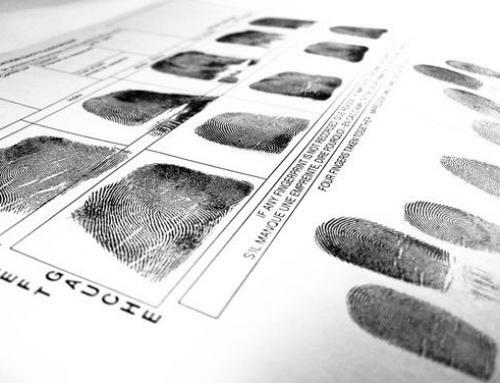 Criminal history records may be expunged when (1) one reaches 70 years old and has not been arrested for 10 years following release from prison or (2) the person has been deceased for 3 years. If you believe that you or a loved one may be entitled to an expungement of your criminal record, please contact Philadelphia criminal defense attorney Brian Fishman for a free consultation concerning your rights.